The savage murder of US journalist Steven Sotloff has provoked justifiable anger and revulsion among millions of people around the world. It is necessary, however, not only to sympathize with Sotloff and his family, but to understand the deeper causes of this tragedy. The murder, following that of James Foley last month, is a further demonstration of both the reactionary character of the Islamic State in Iraq and Syria (ISIS) and the terrible consequences of a half-century of intervention in the Middle East by US imperialism. US Vice President Joseph Biden denounced the beheading of Sotloff in a speech at a naval shipyard in New Hampshire, declaring that US military forces would pursue ISIS to “the gates of hell.” But ISIS is not an incomprehensible emanation of Satanic evil, as portrayed by the Obama administration and the American media. It is a product of the policies of the US government over a protracted period of time. US administrations have sought to build up the most reactionary and backward Islamic fundamentalist forces in the Middle East for many decades. Throughout the Cold War, Washington mobilized them against secular nationalist leaders viewed either as potential allies of the Soviet Union or as direct threats to the profits and property of American and European corporations. The CIA financed and mobilized right-wing Iranian Islamists in support of the 1953 coup that ousted the liberal government of Mohammed Mossadegh, which had nationalized the largely British-owned oil industry. The US cultivated similar forces in Egypt, including the Muslim Brotherhood, to undermine the regime of Colonel Gamal Abdel Nasser, who nationalized the Suez Canal and sought military aid from the Soviet Union. In 1977, the CIA backed the coup in Pakistan carried out by Muhammad Zia-ul-Haq, who established a martial law regime based on Islamist fundamentalism that lasted until his death in 1988. The security anchor of American policy in the Persian Gulf region, particularly after the 1979 revolution that overthrew the Shah of Iran, was an alliance with the monarchy in Saudi Arabia, which has long promoted the most reactionary forms of Islamic fundamentalism as an ideological bulwark for its parasitic rule. The state of Israel pursued a similar policy, promoting the Muslim Brotherhood affiliate in the occupied Palestinian territories as a rival to undermine the Palestine Liberation Organization of Yasser Arafat, which it viewed as the main enemy. Out of this effort would emerge Hamas and Islamic Jihad. Islamic fundamentalism became directly linked to terrorist violence through the US campaign of subversion beginning in the late 1970s against the pro-Soviet government in Afghanistan. The CIA, working with Saudi Arabia and Pakistan, recruited Islamic fundamentalists from all over the world, trained them in bomb-making and other terror tactics, and funneled them to the battlefield in Afghanistan. Prominent among these was the son of a Saudi construction multi-millionaire, Osama bin Laden. The veterans of Afghanistan returned to their home countries, from Morocco to Indonesia, spreading the influence of Islamic fundamentalism into countries where it had never before existed. A key turning point was the 1990-91 Persian Gulf war, in which half a million US troops were deployed to Saudi Arabia, prompting bin Laden and other Islamists to declare the United States the main enemy. In the wake of the 9/11 attacks, carried out by a group of predominantly Saudi terrorists, several of them well known to the US intelligence services, the Bush administration declared its “war on terror” against the former US allies. However, this by no means signified a break with the Islamic fundamentalists, many now operating under the umbrella of Al Qaeda, as later events would show. There remained a murky connection between US foreign policy and the radical Islamists, most notably in Iraq, Libya and Syria, three countries ruled by secular regimes that had largely suppressed the fundamentalist groups. The US invasion and occupation of Iraq laid waste to the country, killing hundreds of thousands of Iraqis and destroying the social and physical infrastructure. 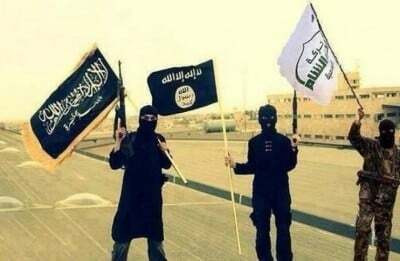 Employing the strategy of divide and rule, the US occupation deliberately stoked up Sunni-Shiite sectarian divisions, resulting in the growth of the Sunni-based Al Qaeda in Iraq, the forerunner of ISIS. The US-NATO intervention in Libya in 2011 employed elements linked to Al Qaeda as its ground troops, leading to the current state of political disintegration and civil war in that country. In Syria, the CIA and US allies such as Qatar and Saudi Arabia directly armed, financed and trained Islamic extremists to fight the government of President Bashar al-Assad, which was allied to Iran and Russia. The recipients of US aid included both the al-Nusra Front, the Al Qaeda affiliate in Syria, and ISIS, which advocated an even more extreme form of Islamist terrorism than Al Qaeda, including the immediate establishment of a “caliphate” on conquered territory in eastern Syria and western Iraq. When Barack Obama spoke last week of “not having a strategy” for US intervention in Syria, he was admitting, albeit inadvertently, the contradictions in US foreign policy. ISIS now threatens the US-backed puppet regime in Baghdad. But it remains a de facto ally of the US campaign of subversion in Syria aimed at overthrowing the Assad regime. Washington is still considering how to square that circle: how to wage war against ISIS without abandoning its goal of ousting Assad, which has only become more imperative as the conflict between US imperialism and Russia over Ukraine intensifies. In his remarks at a press conference in Estonia, President Obama denounced the crimes committed by ISIS, both the beheading of two US journalists and the slaughter of civilians and captured prisoners across northern Iraq. But Obama made no such denunciations when ISIS was perpetrating identical crimes against Syrian soldiers and civilians. Now the late US ally against Assad is being utilized to provide one last service for American imperialism: the crimes of ISIS are to be the pretext for a massive escalation of the US military intervention in the Middle East, including stepped-up bombing in Iraq and its eventual extension into Syria, and the reintroduction of US troops on an increasing scale. Only hours after the murder of Steven Sotloff, Obama ordered another 350 US troops to Baghdad, ostensibly to reinforce the guard at the US Embassy, bringing the total American deployment to more than 1,100. The US government will combine military aggression in the Middle East with intensified attacks on democratic rights at home. British Prime Minister David Cameron has already set the pace by using the threat of ISIS as the pretext for sweeping security measures on the streets of Britain and a crackdown on immigrants from the Middle East. Workers in the United States and internationally must intransigently oppose all efforts to use the crimes of ISIS as a pretext for war and repression. American imperialism, having fostered Islamist terrorism, now seeks to exploit it for its own purposes. The defeat of the Islamic fundamentalists, like the defeat of all forms of capitalist reaction and violence, is the task of the working class, mobilized on the basis of a socialist and internationalist program.